Obituary for Walter R. Hooks | Clawson Funeral & Cremation Center, Inc.
Walter R. Hooks, 87, of Allegheny Township, PA, passed away on Saturday, March 30, 2019 at the Veterans Hospital in Oakland. 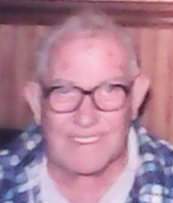 A son of the late Raymond Hooks and Maryetta Hooks, he was born August 8, 1931 in Rural Valley, PA.
Walter was a veteran having served in the U.S. Army during the Korean War. He was employed as a truck driver with Breman’s Trucking for over 30 years. Walter was a life member of the American Legion, the VFW and the Markle Fire Dept. (retired Chief). He enjoyed gardening, fishing and bird watching. Survivors include two sons, Randy W. Hooks (Peggy) of North Apollo, Richard C. Hooks (Catherine) of Allegheny Twp. ; a daughter, Cheryll L. Hooks of Allegheny Twp. ; eight grandchildren; and nine great-grandchildren. In addition to his parents, he was preceded in death by his wife, Marjorie A. (George) Hooks in 2012; and two brothers, Ivan and Merle Hooks. Friends welcomed by his family on Wednesday, April 3, 2019 from 1-3 and 5-7 p.m. at the Clawson Funeral & Cremation Center, 170 Main Street, Leechburg (724-842-1051). Entombment will be held at 10 a.m. on Thursday, April 4, at Greenwood Memorial Park Mausoleum, 104 Melwood Rd., Lower Burrell, with military honors.